The show that features your very own toys! 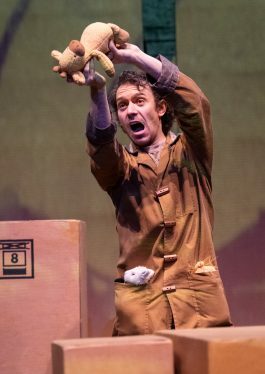 Stars of the Edinburgh Festival and winners of the coveted Uke Of Edinburgh Award, The Ukulele Evangelists bring you an evening of ludicrous happenings to get you in the holiday mood good and proper. There are Badgers Giving It Large, Funk and Soul classics played as you’ve never heard them before – on virtuoso Ukulele and thrash Tamborine. A ballet on street scooters. A Summoning of The Spirit OF Elvis. Bring your Granny, bring your mates, bring people you barely even know who could do with a cheer-up to this evening of joyous seasonal silliness. 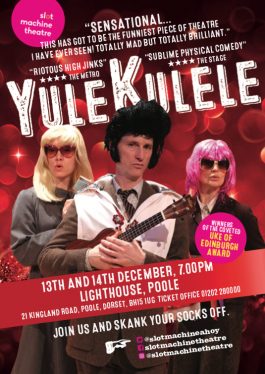 Coming to Lighthouse, Poole, on the 13th and 14th December at 7.00pm.